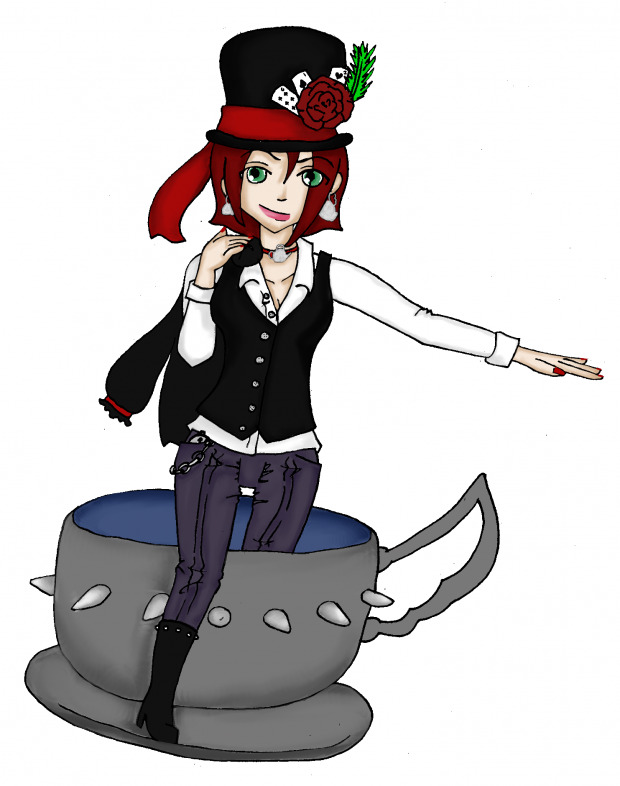 This is my darling Alex as the Mad Hatter- a totally badass female version <3 What do you all think?? I gave her teacup and teapot shaped jewelry, a lovely tall hat, and the best outfit ^___^ it took me a freaking DAY to shade all of the parts (well, working around classes and whatnot, but still. most of a day), but I'm really happy with how it came out! dedicated to fuko chan for the recent sub!! thank you very much :D i hope you like all of my new work as well! !